Hi, and welcome to A Clean Bake! I’m thrilled that you’re here. 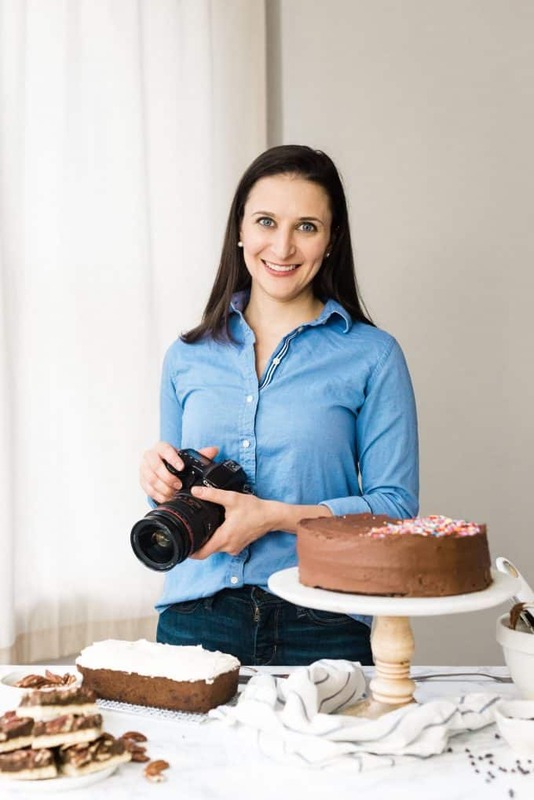 I’m Nora Schlesinger, the baker and photographer behind A Clean Bake. When a SIBO and leaky-gut diagnosis left me with a long list of food intolerances, I found myself isolated at holidays and dinner parties. I launched A Clean Bake so that everyone at the table can enjoy a meal together, dietary restrictions aside. I started baking before I was tall enough to reach the counter. I began my “training” as a recipe developer when I was very young. Perched on a step stool, I watched my mom instinctively combine ingredients into original recipes for my family. I was captivated by the magic of baking, and later cooking, for life. I love food. But by my mid-twenties, food stopped loving me back. People used to know me as The Carb Queen. For most of my life, my diet consisted of four food groups: pasta, bread, cheese, and cookies. Actually, that’s being a little dramatic. I ate a lot of cupcakes too. Growing up, I was a vegetarian who lacked a firm grasp of good nutrition and my daily meals consisted mostly of sugar, carbs and dairy. I ate this way all the way through college and graduate school; like every other 20-something, I thought I was invincible. For years, I put in 14 hour days as I juggled a high-stress day job and evening grad school classes, studying in airports and hotels between client meetings. My body strained to keep up, but I ignored all of its signs. Abdominal pain, digestive distress, headaches, sleep disturbance, and brain fog became my normal. Living in physical agony began to negatively impact my mental health, too. I felt sick, exhausted, scared, and anxious—all during what should have been the prime of my life. When my health reached its lowest point, I could count the number of foods that didn’t make me sick on two hands. Chicken, a few vegetables, nuts and seeds, herbs, and oils were the only foods I didn’t fear eating. Still, I downplayed how awful I truly felt and ate food that I knew would make me sick, all because I didn’t want to be rude, or a burden to those around me (and because, honestly, I didn’t think I had a lot of alternatives). But it continued to take a toll, and my life got smaller and smaller as my health declined. I cancelled my 30th birthday party. I spent the first two days of my honeymoon in bed, all because I committed the grave sin of eating a slice of my own wedding cake. 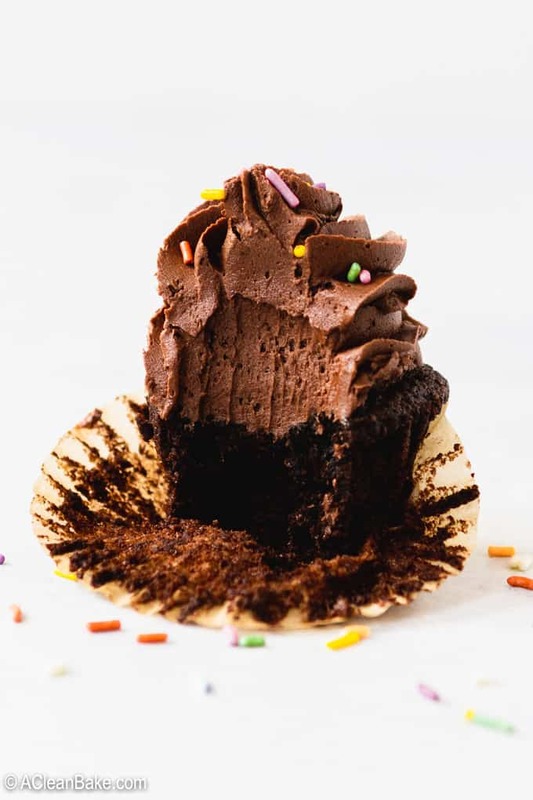 Foods most attached to memories—like holiday cookies and birthday cake—made me sick if I ate them, or made me feel like an outcast if I didn’t. It was normalcy I craved, but there is nothing normal about being miserable after every meal. It felt like death by a thousand paper cuts. For too long, undiagnosed SIBO and severe leaky gut left me with a long list of unanswered questions and a longer list of restricted foods. No one meal was the turning point; each meal brought a new wave of pain, discomfort, and anxiety. I began to dread meals, and associate eating with pain. I had to make a drastic change, or risk losing out on the best years of my life. Eventually, I became so sick—and so sick of being sick—that I went all-in with my health. I was willing to do whatever it took to find joy in my life, and in food, again. I accepted that I have a chronic illness, and I stopped feeling sorry for myself. I found a doctor who listened. I advocated for myself, insisting on being tested for SIBO and other conditions even when the most progressive doctor deemed it “too rare” to be a likely cause. But I knew I needed support. That is why I started A Clean Bake. Eliminating entire food groups helped heal my physical symptoms, but did nothing to restore the joy I once felt at the dinner table. I began to dread holidays and social gatherings; watching “normal” friends and family members enjoying overflowing plates of stuffing, gravy, mashed potatoes, and pie, while mine sat half-empty with green beans and dried out turkey, made me feel like a freak. So I started adapting off-limits foods so that were safe for me to eat, but could be shared by everyone at the table. 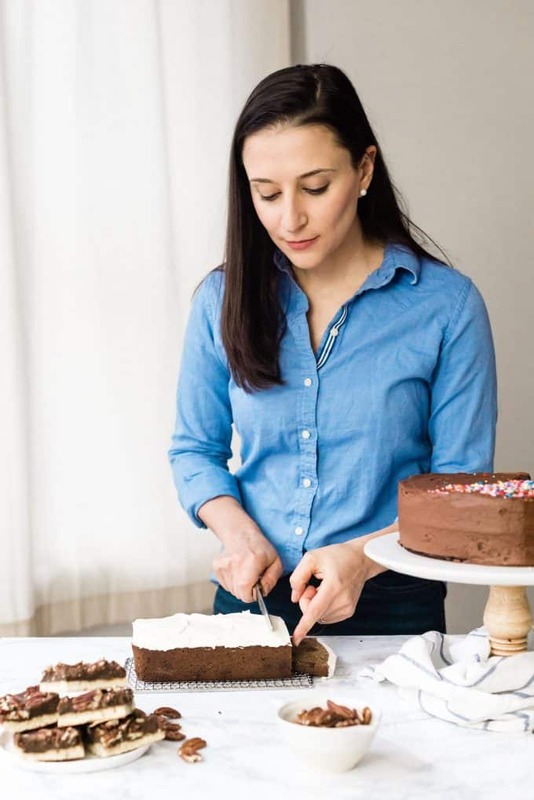 Creating my own recipes using real, unprocessed ingredient kept me on track, and helped me resist the temptation to have “just one slice” of (conventional) cake. It allowed my body to rest and heal and, over time, I have been able to re-introduce some foods. Rather than keep these recipes to myself, I started this site to share my recipes with any one else who found themselves in the same boat. Taking control of your life is not simply following doctor’s orders—it’s opening your mind to the idea that you can enjoy everything you once did, just in a reinvented way. To me, this was never letting another birthday go by without being able to eat the cake. I wanted to enjoy pie at Thanksgiving, bite into a burger with an actual bun, and sit at a table where every person ate the same meal. My story is one with no conclusive ending. As I write this, I still struggle with food intolerance and unexplained symptoms. I’ve come so far in the past five years—thanks in large part to the extreme dietary changes that I made— identifying the causes of my illness, healing my gut, and slowly reintroducing some foods that were once off limits. Illness caused, or at least exacerbated, by food stole years of my life, but learning to enjoy meals in a reinvented way restored my health and happiness. Reclaiming your fundamental right to enjoy food and feel like yourself again is what A Clean Bake is all about. To anyone reading this, know that you don’t need to miss out on life because a doctor handed you a do-not-eat list. You will have good days and bad days. I know it’s frustrating—sometimes, even devastating. I don’t believe in deprivation, even on an elimination diet, and I don’t believe in restricting your diet unless medically necessary. Food should be a source of pleasure and satisfaction, not guilt or ostracism (as it can be when you’re the only person at the table who can’t eat what everyone else is enjoying). 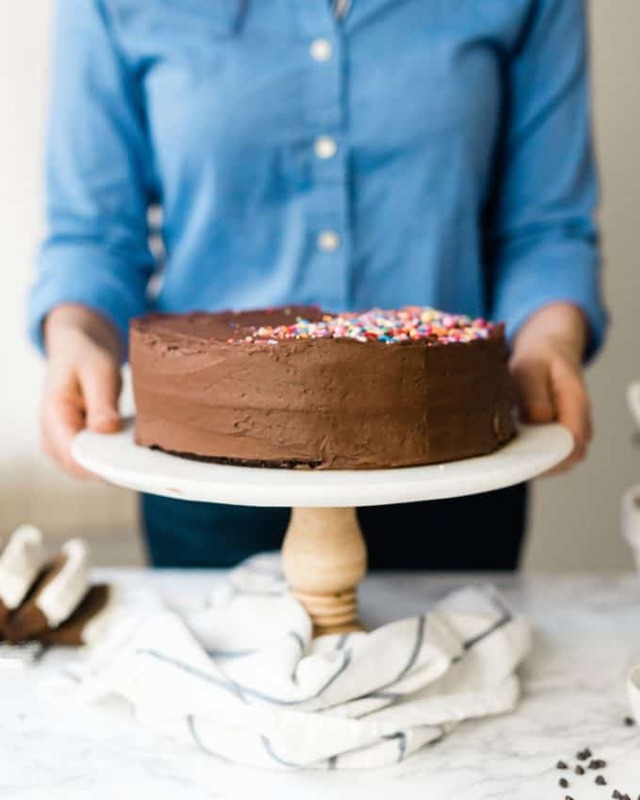 My recipes allow you to stick to nourishing, wholesome ingredients, but still have dessert. My hope is that A Clean Bake will make one day, or one meal, a little easier for you. 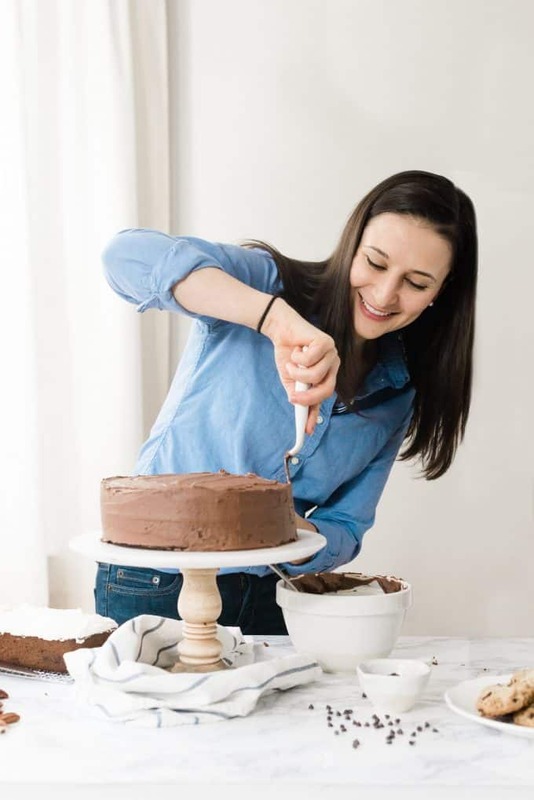 I hope the recipes found here will restore your ability to share the same food with everyone seated at the table—especially if it means enjoying a slice of your own birthday (or wedding) cake. Nora lives in Chicago with her husband and toddler son. 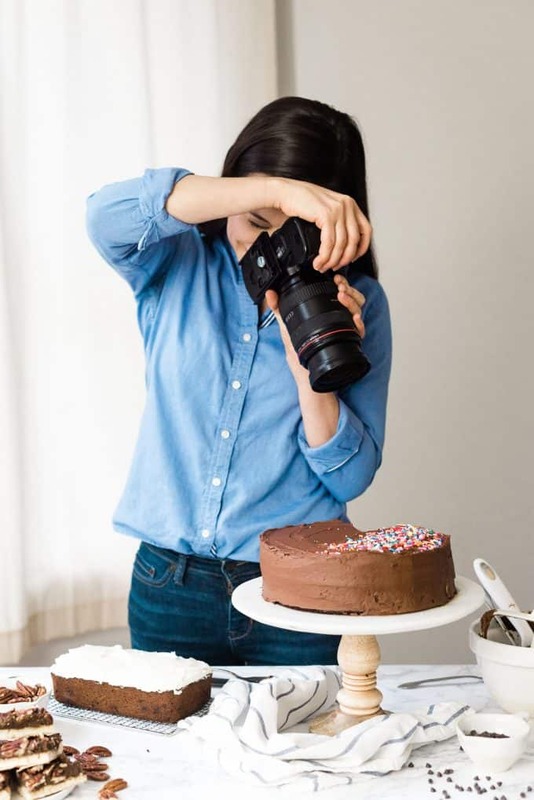 In additional running A Clean Bake,, she works as a director at a content marketing firm, where she handles editorial strategy and search engine optimization for brands like ButcherBox,Yummly, Four Sigmatic, and Kettle & Fire. 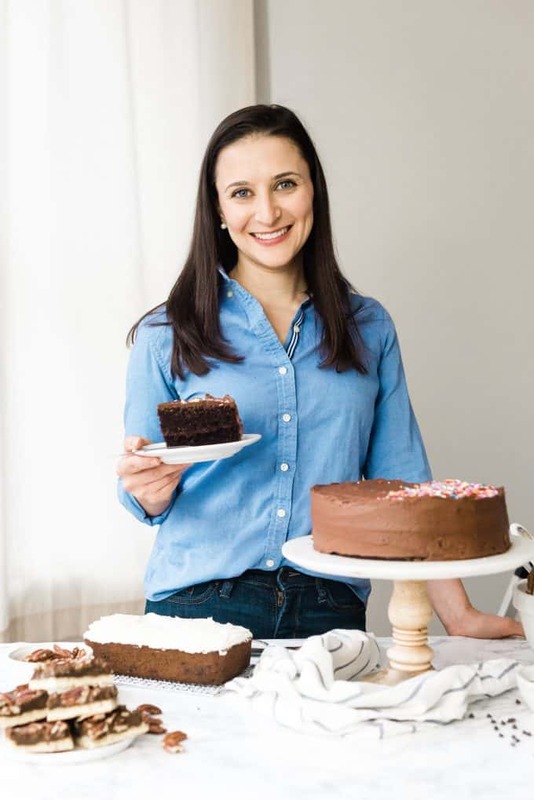 In her free time, she enjoys baking with her two year old son, who is just tall enough to reach the counter when he stands on a stool. Many of the recipes on this site provide nutrition for informational purposes only. Nutrition information is calculated by a third party site and I cannot verify or guarantee its authenticity. Read more about the nutrition information on this site here. Please also note that this site contains affiliate and sponsored links. If you click on an affiliate link and decide to buy something, I receive a small commission (this does not in any way affect the price you pay). All proceeds from these transactions are reinvested directly back into the site so that I can continue to provide the high quality recipes you come here for! Thank you for supporting A Clean Bake. Comment policy: I welcome (and encourage) readers to leave questions, comments, feedback, and even constructive criticism about my posts and recipes. However, I do moderate comments, and reserve the right to remove any comments that are disrespectful to me or other readers, or otherwise not conducive to a positive and healthy community on this site.